After a couple of meetings and a proposal, Purple Property Shop enlisted DigiEnable's SEO services to help get their website found more online. We pride ourselves in offering a bespoke search engine optimisation service, focused around clients needs and targets, and we are always researching, testing and implementing the latest search engine marketing technologies, tips and tweaks for businesses online, so we can help you get ahead of your competitors. As you'll know we've got really into supporting Chorley Football Club over the last 12 months or so, so what better way to *kick off* (sorry, not sorry!) 2019, than being Match Day sponsors for the ChorleyFC home game against Guiseley... And then we won!! We are the type of business that gets our head down, does what we think is best and isn’t scared to try different things, so when we get awarded for the work we do it’s a mixture of surprise and immense honour! That’s why we are so proud to have won 3 awards over December 2018 for the work we do and the other organisations and charities we support. EVA Awards is the Enterprise Vision Awards run by Coral Horn of Pink Link Ladies, a yearly awards event to celebrate working women in the NW area, doing amazing and inspiring things! After initially attending the football club, during the day for a business networking event for the sponsors of Chorley FM (a community radio station we support too), we found out more about what the local Chorley Magpies were doing and that there were lots of business sponsorship options within the club and community trust. Yes, we have crossed over to the dark side, or rather than being behind the camera or microphone, to being infront of it. Liz has launched a new Youtube Channel for you to get the latest Top Tips on SEO, Digital Marketing and Productivity. Each videos is less than 5 minutes to watch and has follow up information where you can find out more, links to further reading and useful tools for you and your business to be more visible and savvy online. From meeting at a physical in-person networking event (we highly recommend them), we built a relationship with Synergy Technology which enabled DigiEnable to help them with their online marketing and analytical reporting, with a bespoke suite of sessions ticking all their boxes. We pride ourselves in being qualified trainers of many years, and forever keeping on top of the latest technologies, tips and tweaks for businesses online, so we can pass this onto our clients, you! 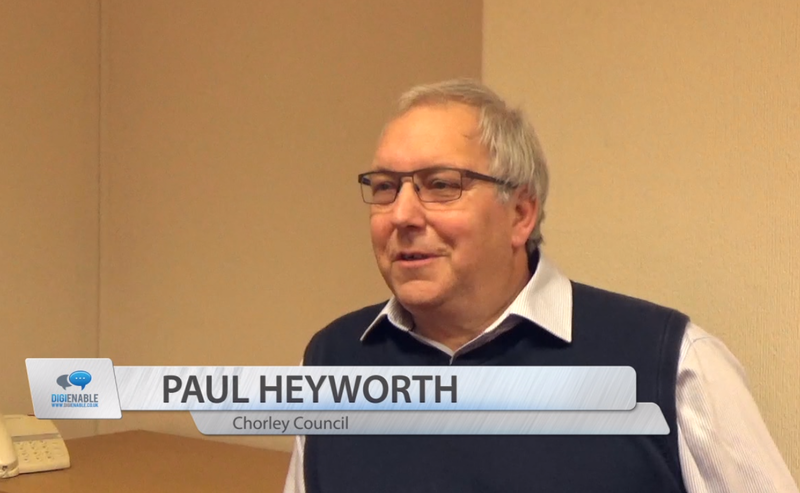 One of our first big clients when DigiEnable began back in 2012, was the fabulous Chorley Council. We love Chorley (we know you know, but we like to keep telling you anyway!) and so to have the local council as a client is a great achievement for us. We still have a fabulous on-going relationship today with the team at Chorley Council and would highly recommend them for business support if you're based in the town. As you might have gathered if you've followed any of our social media, Liz and Darren are keen fans of trying different sports out (attending and watching them that is), and with the spirit of supporting local, they snapped up the opportunity to get involved in the "Hottest Ticket in Town" campaign. Recently we were listed in the Female Founders 101 list for the work we do. That was brilliant! We don't often shout about what we do, so when we get into awards, lists, or the press, we feel really honoured to be involved and included! The female founders list covered some amazing founders and co-founders who are out in the technology industry doing positive, productive work, so to be included alongside these women, (some that I've been in awe of for years) is personally a great achievement.